Tabrane Lanka (Pvt.) Ltd incorporated as a limited liability company under the Companies Act of Sri Lanka in the year 2007. P G M H M Rifas, the CHAIRMAN/CEO of Tabrane Lanka has 10 years experience in the pharmaceutical industry starting his career from a medical representative and respectively a long journey has made it to be a sole success thus was the establishment of Tabrane Lanka. The core activity of Tabrane Lanka is importing and distribution of pharmaceutical to the local market with a wide range of clients (including Doctors and Pharmacists) covering all areas of the island. Tabrane Lanka Private Ltd performs with a sole motive to establish and stabilize in the market, gaining the confidence of the consumer for proven supply of quality products at a competitive price, competing with established competitors. Establishment of our product range in a stable and sustainable position bound by the confidence of the customer will be our achievement. This can only be achieved though the commitment and dedication mixed with the ideal attitude of our team, comprised with experienced marketing and sales staff under the guidance of Director – Sales and Marketing and along with four regional Professional Service Office is who are heading the division. This division is responsible for Imports, Sales & Marketing. They are also responsible for reporting to Corporate Finance division of Sales, Pricing, and Distribution Development of clientele and there-by improvement of the market share, enabling them to access, analyze and present same to the Board of Directors for decision making. This will be the controlling point, which does a duel control monitoring process too. Final decision in any investment shall depend on the analysis and presentation by this division to the Board. Our competitive strengths among others lie in its key attributes of financial stability, marketing skill, creative focus and superior networking arrangements with key stakeholder communities within and outside the industry. 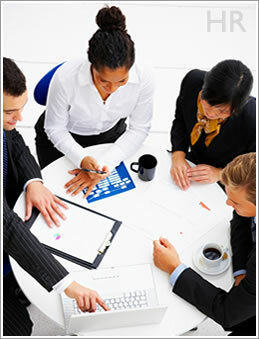 We believe in the power of human resources and its pivotal role in the company's long term success. The company takes pride in employing experienced and professionally qualified marketers and support personnel to represent, design customer value and create strong brand equity. Well trained, dedicated and empowered promotional field teams market the company's products throughout the Island supported by talented and enthusiastic in house support services personnel. A predominantly market oriented culture ensures that meeting customer satisfaction remains the focus of all the organizations offerings. The company's strategy is based on fundamental principles and long term business potential.